Situated near the heart of Munich’s Altstadt you’ll find the vast complex of the Munich Residenz. This grand collection of imperial buildings and gardens was home to the Wittelsbach rulers of Bavaria for many centuries and seat of the Bavarian government. Suffice to say that Monsieur Le Chic and I spent the best part of a day there (with a pause for lunch in the middle of the day) and still felt we rushed through large sections of the place! Originally the Residenz started out as a small citadel or castle to the north east of the centre of Munich in 1385. Gradually more and more buildings were added on to the existing castle until eventually it became the magnificent palace that you can still see today (restored to its glory after heavy destruction in World War 2). The Wittelsbachs began their rule in 1180 and made the Residenz their seat of power from 1508 to 1918 until Ludwig III relinquished his family’s ruling rights at the end of World War 1 and Germany became a republic. With its many courtyards and buildings it took us a while to locate the reception area! We decided to buy a combination ticket for the Residenz Museum, the Treasury and the exquisite Cuvilliés-Theater. Architecture and artefacts that you can see at the Residenz include examples from the Renaissance, early Baroque, Rococo and Neoclassical periods. It would be impossible to describe or feature them all here so I’ll include some of my favourites! The Antiquarium (Hall of Antiquities) is described as “the largest secular Renaissance Hall north of the Alps” and was to my mind the standout feature of the museum – the photos don’t do its beauty justice. It was built between 1568 and 1571 to house the antique sculptures collected by Duke Albrecht V. Thankfully the Antiquarium was restored to its grandeur following its collapse during 2nd World War bombing raids. 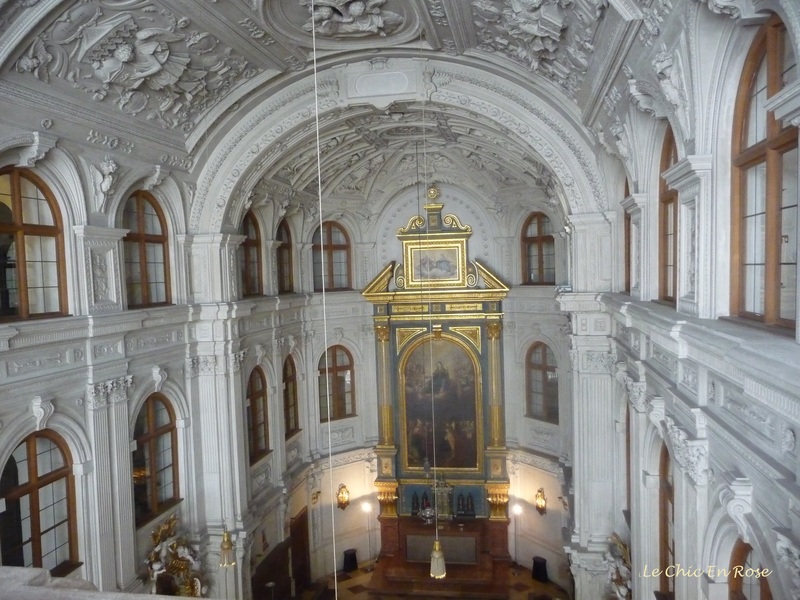 You can read about the history of the Residenz and its post war reconstruction here. 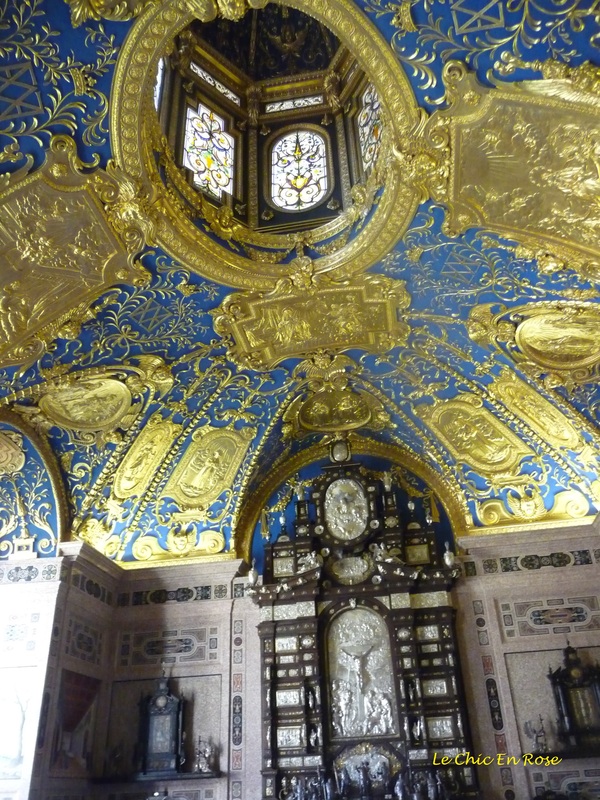 I particularly liked the beautiful decorations of the Reiche Kapelle (Ornate Chapel) with its stunning gilt ceiling and rich lapis blue colours. This chapel was the private place of worship for Duke Maximilian I and his wife and was dedicated in 1607. Maximilian also oversaw construction of the court chapel, the Hofkapelle, in the early 17th century. However the beautiful Rococo style Cuvilliés-Theater would probably be my personal highlight. We nearly passed it by altogether with time being of the essence and didn’t get to see it until later on in the afternoon, by which time our heads were spinning from treasures, antiquities and trying to work out which Wittelsbach ruler was which! The pretty theatre designed by the architect François Cuvilliés the Elder was built by the Elector Maximilian Joseph III between 1751-55 as his new opera house. Mozart’s “Idomeneo” had its first ever performance there in 1781. The Cuvilliés has a French Rococo style feel to it and is surprisingly cosy and intimate with its gorgeous red and gold tier fittings and beautiful carvings. Many of these beautiful fittings are original as they were removed for safe keeping in 1943 and thus survived destruction by the bombing, which devastated many parts of the Residenz in 1944. In the event of any confusion about the Bavarian rulers you can come face to face with their images as you walk towards the entrance of the museum. Parts of the Residenz are currently undergoing restoration and so some exhibitions are not on public display but there is still so much to see and do here I doubt anyone would notice the absence of a collection or two! The chapel looks indeed very well decorated, I love the blue ceiling !I think blue and gold go perfectly well together, for me it’s a winning pairing !! This is really impressive. I love the decoration – the painting in the roof. So much details and history. And that theater, wow! I will have it on my lost for next time I visit Munich. I think I like the Hofkapelle best. The rest is stunning, but like an over-rich pudding! Dear, dear – who are such people? 😉 I would definitely love to visit. So grand and spectacular Rosemary – I just love it. Those colours and those ceilings, all incredible. I’ve never been here, I definitely want to go now!! Definitely one for “the list” Rosemary – thank you for the recommendation!! Imposing looking places, Rosemary – particularly the Ornate Chapel! Thanks Susan – yes it certainly is an impressive place! The chapel roof looked like it was covered in jewels from a distance it was very sparkly! Chapel photos are gorgeous. Thank You showing them.